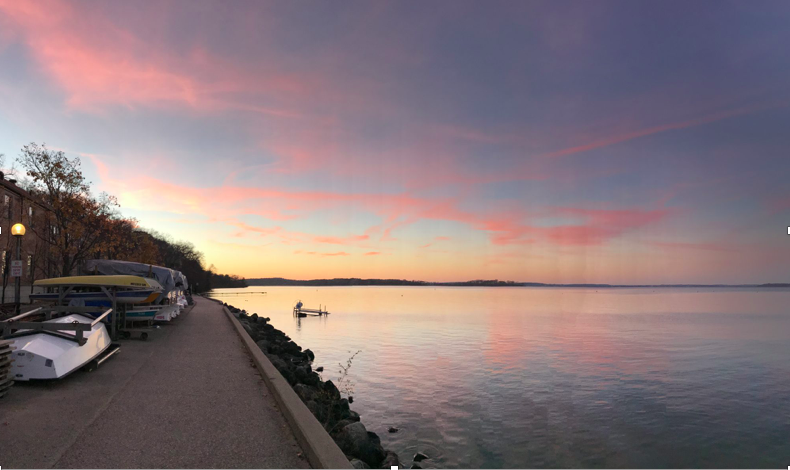 The four inches of rain that fell across the lakes produced a 100-year flood event in Madison due to the high lake levels of Lakes Monona, Mendota, Waubesa and Kegonsa — especially Lake Mendota. 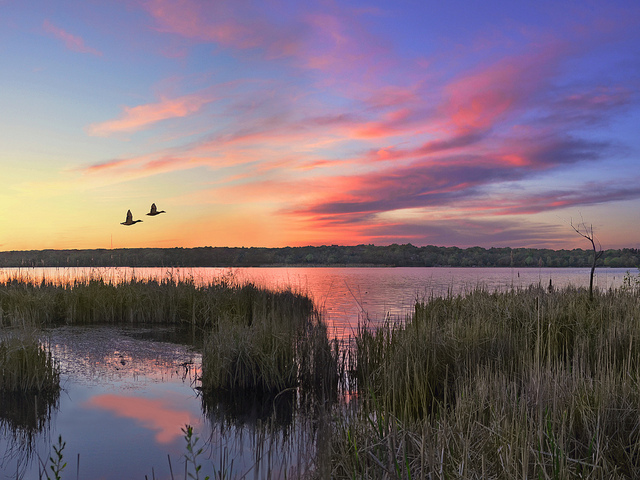 The Wisconsin Department of Natural Resources set the minimum and maximum lake levels in 1979. The storm on August 20 caused the lake levels to rise well above their minimums and 100-year flood levels. 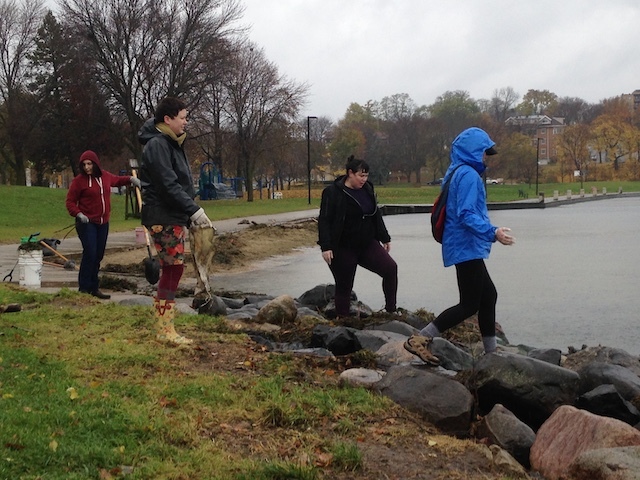 Madison residents braved rainy and wet conditions in early November to take part in the Flood Clean-up Challenge hosted by the City of Madison Parks Division. The event, which took place at 11 different parks in Madison, addressed the impact of the flooding that occured in the city over the summer. With the gradual recession of flood waters since mid-September, many parks situated along shorelines in the city were left with debris, trash, and large swaths of seaweed on their beaches, which had been washed ashore during the flooding. In response, the Madison Parks Division developed a cleanup plan that relied, in part, on volunteers. “I was really taken with the opportunity to volunteer for the city [and] to clean it up,” said Emily Reynolds, one of the volunteers who came to help with the effort. 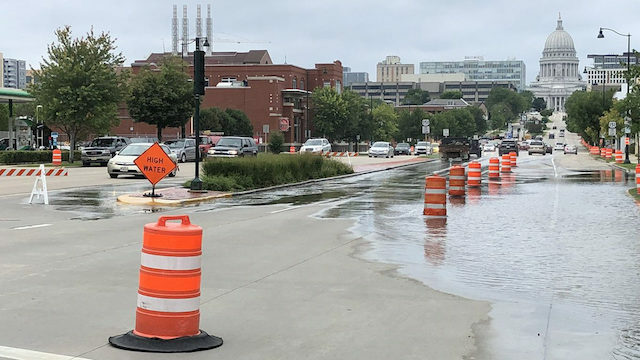 The City of Madison recently launched a new website to report storm-related problems following the historic flooding in late August. More than 10 inches of rain fell on Madison over the course of eight hours on August 20. Immediate flash flooding occurred, and Madison’s lakes swelled to historic highs. Lake Mendota rose 16 inches, and Lake Monona rose more than 10 inches above it’s record elevation. Some areas of the city saw five-feet deep flood waters. A resolution was adopted in July at a City Council meeting that will transition Madison to a 100 percent renewable energy. 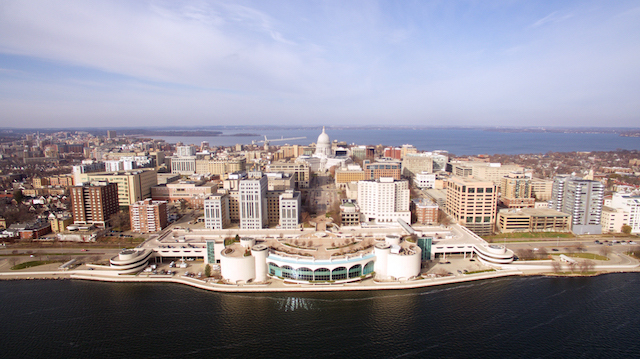 Madison is one of three Wisconsin municipalities that adopted a 100% renewable energy goal. The other cities are Eau Claire and Middleton. In 2017, Madison established a community-wide energy and carbon goal of 100 percent renewable energy and net-zero carbon emissions, and the city selected Sustainable Engineering Group LLC to provide a plan for city operations to achieve goals of 100 percent renewable energy and net-zero carbon. The resolution allowed the city to enter a contract with OneEnergy Renewables, an independent developer of community and utility-scale solar energy projects across North America, with a focus on commercial, institutional and utility customers, for the annual purchase and sale of renewable energy credits (REC) from 2019 to 2023. 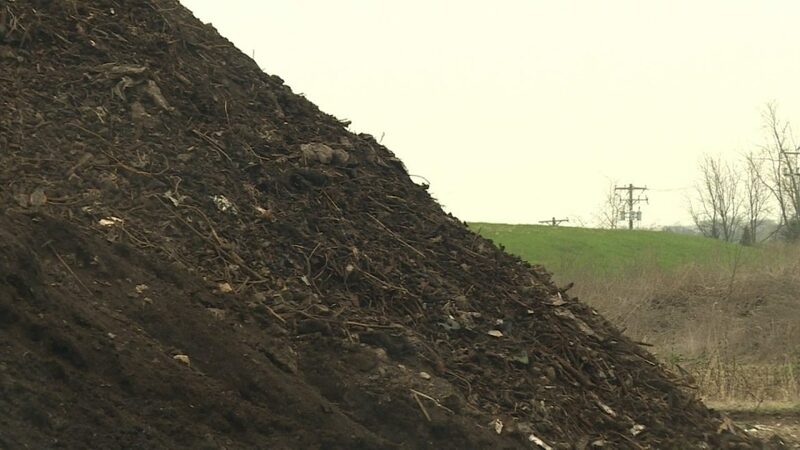 Despite Madison’s compost pilot program coming to an end last month due to contamination issues, the City hopes to restart the program in 2019. The program, officially called the organics collection program but can more accurately be understood as a food scraps recycling program, began in 2011 to reduce the amount of waste going to the landfill. 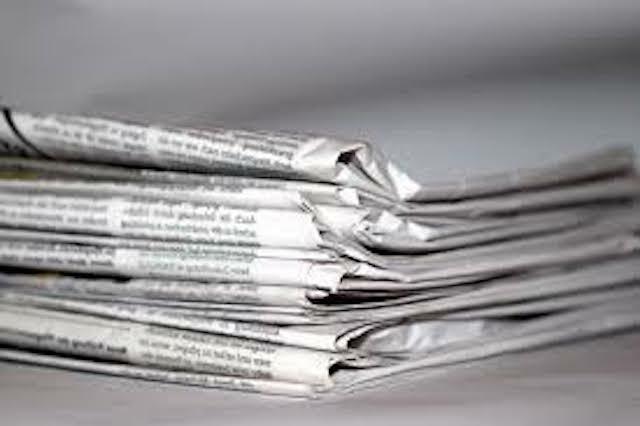 The program had to stop because too many participants, which included residents and businesses, were putting non-compostable items in compost bins, thus contaminating the compostable material. “This isn’t over,” said Bryan Johnson, the Recycling Coordinator for the City of Madison Streets Division. “The program, the way we had it, wasn’t working with the processing options that were available to us. The future is getting brighter for wind and solar energy in the Midwest. Two Madison-based power companies, Alliant Energy Corporation and Madison Gas and Electric (MGE), have recently invested in clean energy sources that will affect thousands of customers across the Midwest. Alliant and MGE are investing in wind and solar energy, respectively. 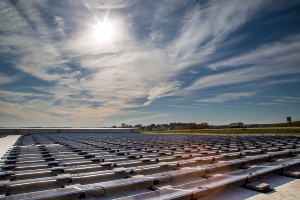 Wisconsin Public Service of Green Bay will also invest in solar energy alongside MGE. Alliant has partnered with Tradewind Energy, an independent renewable power developer to bring English Farms Wind Farm to completion.